One of the nifty little features in Apple’s iOS operating system is the ability to “swipe to delete” certain items. You can use the gesture to remove songs, podcasts, videos, text messages, emails, and more from your device, but for some bizarre reason, not audiobooks. 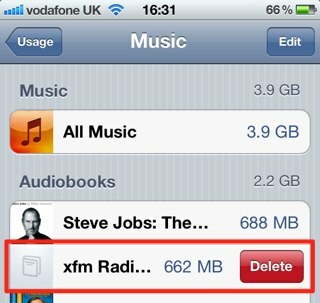 Here’s how to delete audiobooks directly from your iOS device — without the need for a computer. 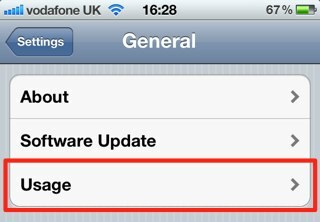 First, open up the Settings app on your device, then tap on the ‘General’ then ‘Usage’ tabs. 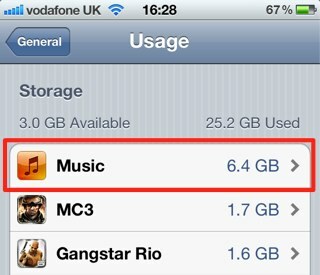 Under the ‘Storage’ heading, you’ll be presented with a list of content that’s eating up the space on your device. Tap on the ‘Music’ app. Within this menu you’ll be able to see all of the audiobooks currently installed on your device. To delete one, simply swipe your finger along it to reveal the ‘Delete’ button, or use the ‘Edit’ button in the top right-hand corner to delete them quicker if you’d like to remove more than one.